Learning you have cancer can be one of the scariest moments of your life. Thankfully, in the medicine world today, if your cancer is caught early, you have a good chance of beating it and returning to your normal life. However, many cancers leave scars on your outer appearance which can be a constant reminder of your illness. Dr. F. Leigh Phillips, III, MD, PA, FACS offers cancer treatment procedures to residents of Wilton Manors, FL and can help you remove any trace of your cancer on your body. Dr. Phillips can perform breast reconstruction surgery for a patient with breast cancer and can also remove various skin cancer lesions, including melanoma. 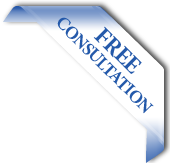 Call our office today to set up a consultation appointment. Dr. F. Leigh Phillips, III, MD, PA, FACS is a board certified plastic surgeon who has been practicing for many years. During his years of practice, he has worked with many oncologists to help their cancer patients resume their lives after they have gone into remission. For example, breast cancer survivors often desire to have breast reconstruction surgery if they have had a mastectomy. Dr. Phillips can easily insert implants into one or both of a patient’s breasts in order to help them heal emotionally after cancer. Some oncologists even need his help for patients who were recently diagnosed. Malignant skin cancers and melanoma should be removed from the body as soon as they are found. Dr. Phillips can safely remove these lesions and make sure that patients have little to no scarring left in place of their lesions.